for the iMessage App Store. 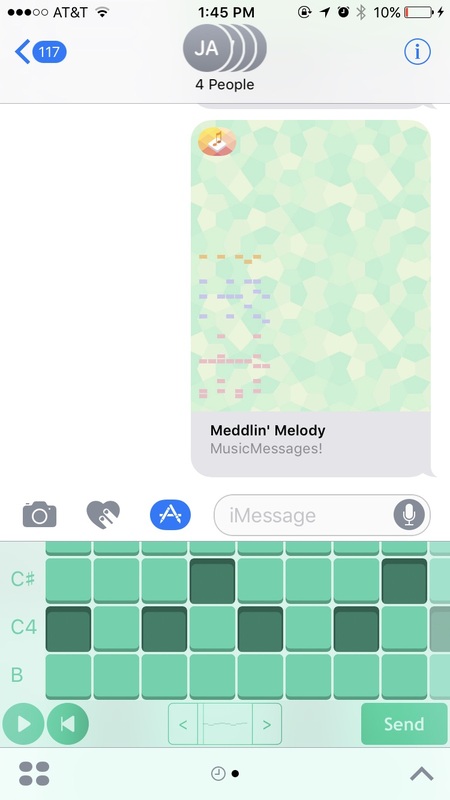 Collaborate on music right in iMessage! Tap out a few chords or a percussion line and send it off to your friends without ever having to leave the Messages app. Each user's notes are marked with their custom color, making it easy to track the evolution of a piece over time. 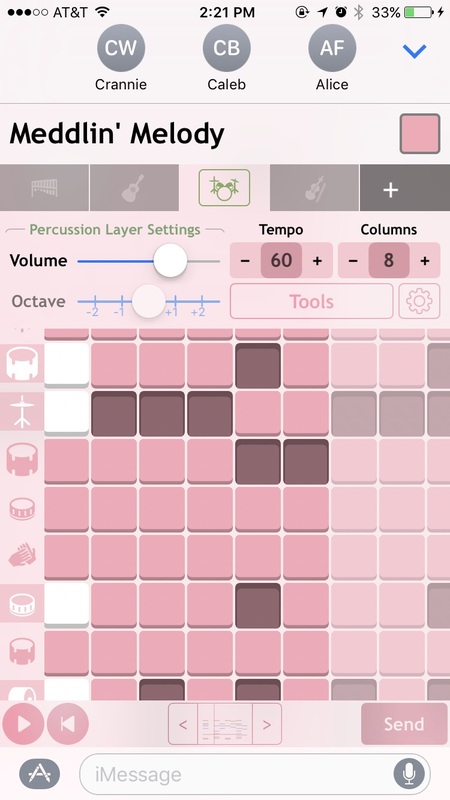 Simple and stress-free music-making! 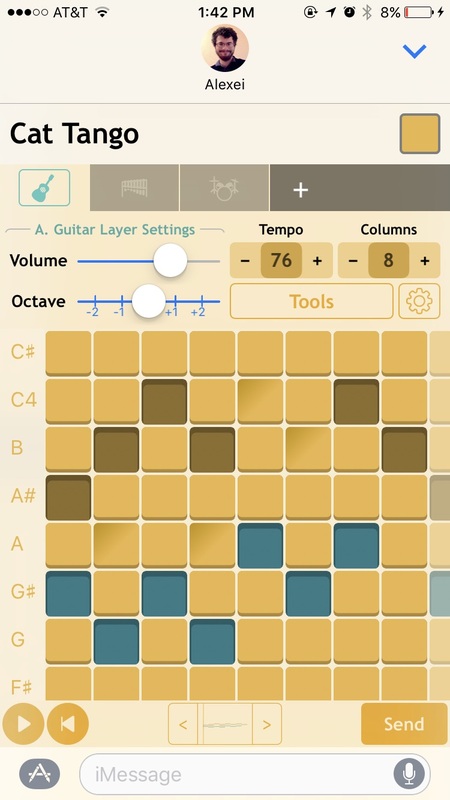 Tap the note buttons, hit play, and repeat until you've got a groove going. There are five layers and over 40 instruments (including percussion) to work with. Bonus: 3D touch and haptic feedback are supported on the latest iPhone models! Consumer friendly! No third-party servers, no logins, no invasive user tracking, no ads. Free with a one-time in-app-purchase to unlock all the odds and ends, and you can edit messages from unlocked users with the full feature set for free.